The White House is offering another rationale for why Democrats should not get their hands on President Donald Trump's tax filings: They're not "smart enough" to properly understand them. Asked if Trump will order the IRS not to release his filings, Sanders said, "We'll have to see what happens on that front." 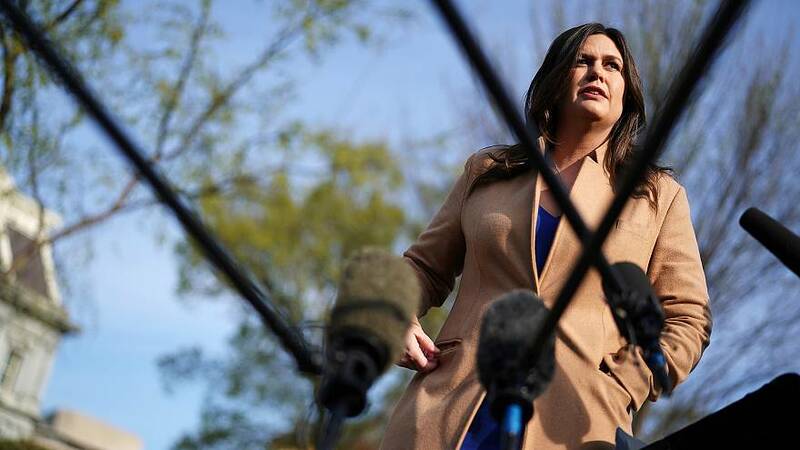 Sanders' remarks come after congressional Democrats gave the IRS an April 23 deadline to turn over the president's returnsto the chairman of the House Ways and Means Committee. Earlier this month, the committee's chairman, Richard Neal, D-Mass., formally requested six years of Trump's personal and business tax filings from the IRS under a statutethat allows him to demand an individual's returns. That statute allows the chairman to request the returns for a policy-related purpose, and Democrats have insisted they need to see the taxes to determine how Trump's financial interests might be influencing his policymaking decisions. "To date, the IRS has failed to provide the requested return and return information despite an unambiguous legal obligation to do so. ... Please know that, if you fail to comply, your failure will be interpreted as a denial of my request," Neal wrote in a letter to IRS Commissioner Charles Rettig, adding there was "no valid basis to question the legitimacy of the Committee's legislative purpose." Speaking about the latest request, Treasury Secretary Steve Mnuchin said Saturday that as he has "emphasized in the past, I think the request raises some very complex issues." "And I do intend to follow the law, but I think these raise very, very complicated legal issues," he said. "I don't think these are simple issues." Trump spoke about the request Wednesday, telling reporters he's not going to make his taxes public because they're under audit. "No, there is no law," he said. "As you know, I got elected last time with this same issue. And while I'm under audit, I won't do it. If I'm not under audit, I would do it. I had no problem with it. But while I'm under audit, I would not give my taxes. There's no law whatsoever. Last Sunday, acting White House chief of staff Mick Mulvaney said Democrats will "never" be able to obtain Trump's taxes. Sanders on Sunday said the Democrats' request "has nothing to do with whether they're going to determine policy" and said Democrats were going down a "dangerous, dangerous road," calling the move "disgusting overreach."